Welcome to the Top Upcoming RPGs of January 2019! In this series we highlight the Top 5 RPGs for the upcoming month. In this edition, we’re going to take a look at each of the titles, talk a little about each, and then explain why we think they deserve to be on the list. So join me now and find a mixture of some hidden gems and old favorites given a shiny new coat of paint. 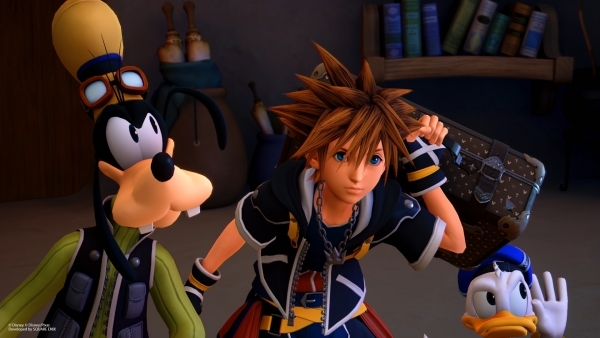 Our last Top 5 kicked off the New Year for 2019, the top spot going to the crossover of Disney stars in Kingdom Hearts III. While this month sticks to more traditional storytelling, there are a few titles that bring in some intriguing narratives that aren’t as straight forward as you might think. Bringing undead minions, dangerous planets to explore and a range of abilities that are simply God-like, let’s delve into the month of February! The third entry in the franchise, Kingdom Hearts III won our top spot. It brought a star studded cast that would make your head spin. Nier: Automata has now sold over 3.5 million copies worldwide making NieR: Automata a huge hit with its fast paced action combat and intriguing android storyline. It only seems fitting it would be getting a game of the year edition or Game of the YoRHa edition. Set in the desolate open-world that is void of humanity, NieR: Automata hauntingly intrigues players with it’s android storyline and fierce action. 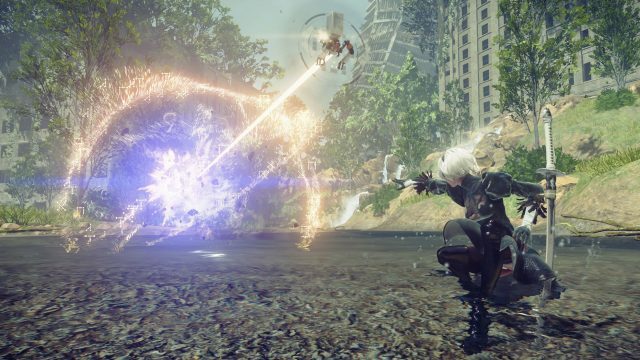 In a story that follows 2B, 9S and A2 as they fight to reclaim the machine-run world, they will battle it out with the powerful machine lifeforms. While the game is a sequel to NieR players will not need to know what happened in the previous game but those who have played it will enjoy little easter eggs that pop up now and again. The Game of the YoRHa edition comes with DLC expansion, base game, skins, PS4 Avatars and PS4 Dynamic Theme. Nier Automata: The Game of the YoRHa edition will release on February 26th on Playstation 4 and PC. 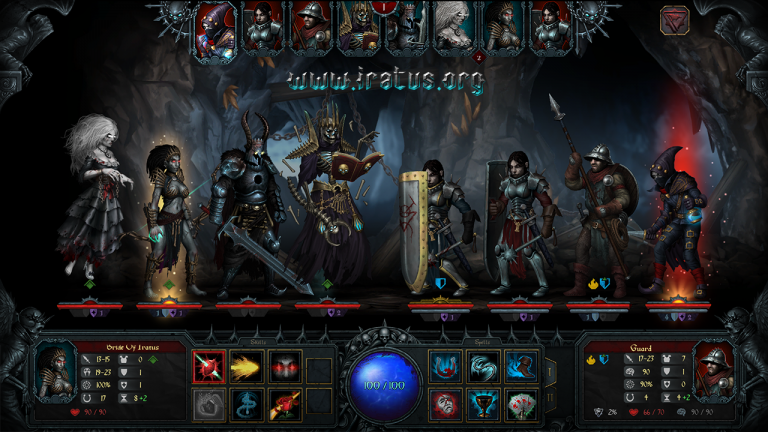 Iratus: Lord of the Dead is a tactical RPG fantasy, drawing inspiration from Darkest Dungeon. Setting a twist in the usual good versus evil, this dark fantasy turns it on it’s head as you’ll be playing the side of evil, it’s more fun this side anyway. Players are enlisted to help Iratus escape from the dungeon where he has been imprisoned for many years. Armed with powers of necromancy, craft your minions from the body parts of your dead foes, after all you can’t let them go to waste now can you? Use alchemy, magic and tactical skills to defeat your adversaries in a strategy turn-based style. Each type of undead minion has their own special ultimate that you can choose to take advantage of, but in return it will cost you resources. Choose Iratus himself to cast powerful spells if you have the mana to spend. Those who are fans of the love-craftian universe will notice the inspiration in the sanity meter, use it to your will to defeat the living. Unfrozen the indie developer that put their game on Kickstarter last year to gain additional funding. They are set to release Iratus: Lord of the Dead on February 14th, for PC, Mac, Linux via Steam. The story follows Arata who receives an email from his former colleague Shina Ninomiya who went missing a year prior to the events of the game. It’s in this email that Arata realises that Shina is trapped within the walls of the virtual reality MMORPG called “World Odyssey”. The game although had ceased development, is now holding her captive as the only “player’, in a misshapen former version of itself. The virtual world has now become ridden with bug-like monsters that are searching for their next victim. Arata’s only way of saving her is by completing the game to unlock the perfect ending, but the success rate is set at 1%. Mixing fantasy with reality, can Shina be saved? Taking the classic turn-based style RPG adding a new twist, by allowing players to switch between different game modes. Choosing from fighter, to shooter and to even slot mode. This turn-based battled system brings a group of 3 members to battle, each character has different abilities to choose from. Each turn starts with the characters flexibility to move freely so they can perform combos or choose to attack outside enemy’s range to help keep their team safe. 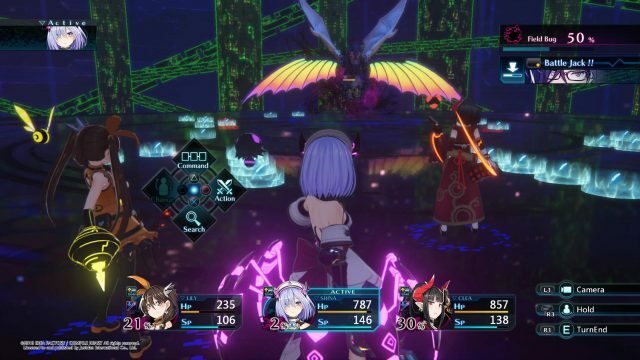 Death end Re;Quest is set to release on February 19th on Playstation 4. In the next instalment of series God Eater 3 follows events of a sudden mysterious life form that begins its uncontrollable quest to consume life on Earth. It’s insatiable appetite and quick ability to learn, makes it the deadliest foes you could ever face, they have been given the name Aragami. These beasts only leave destruction and misery in their path. In order to fight back, individuals known as God Eaters wield special weapons powered by Oracle Cells, these are the only known way to stop the Aragami. But this is not the only battle brewing, a fight between light and dark is wearing thin. 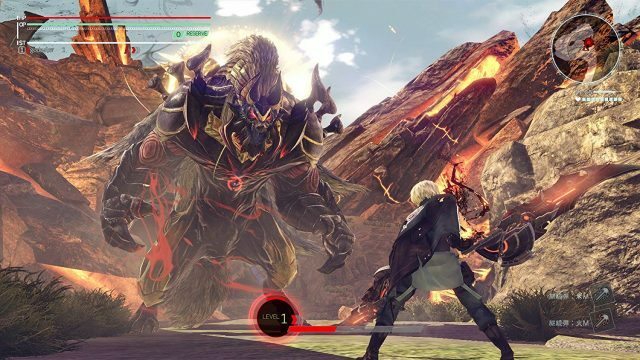 God Eater 3 combines action combat with abilities to dive, use burst arts, plug-ins and more. Use skill install which allows you to equip God Arc skills for your chosen weapon to increase health points, slash attacks or speed buffs with these items. A new passive skill has been added called Acceleration Trigger, which strengthens a players resolve giving the upper-hand during opportune moments. 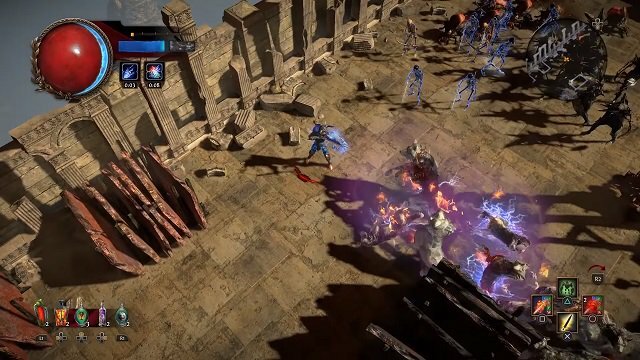 Path of Exile the action-RPG was originally meant to release at the end of last year for Playstation 4, but was delayed until 2019. It finally get it’s release this February. Those who are fans of Diablo 2 will see some inspiration in this title. Set in the dark fantasy world of Wraeclast, a harsh continent that has seen many mysterious catastrophes shaped by the past. Various creatures have inhabited the nightmarish land and are ready challenge exiles that dare venture its lands. Players can choose from a variety of abilities using the skill gem system, which also includes valuable items. These will grant different abilities when combined with equipment. Each character class shares a highly extensive passive skill tree, with seven distinct locations dependent on class. Using the Keystone passives can dramatically change the way your character is played meaning tons of versatility. Path of Exile comes to Playstation 4 this February 2019. Bioware is back with a new IP, this time its a sci-fi jet packed adventure called Anthem. Best known for their influence on the RPG genre with the Mass Effect and Dragon Age franchise. This time Bioware ventures into a harsh environment that threatens humanity. Players will choose powerful Javelin exosuits, each with great abilities to help even the playing field with the masses of beasts and creatures that have inhabited the land. 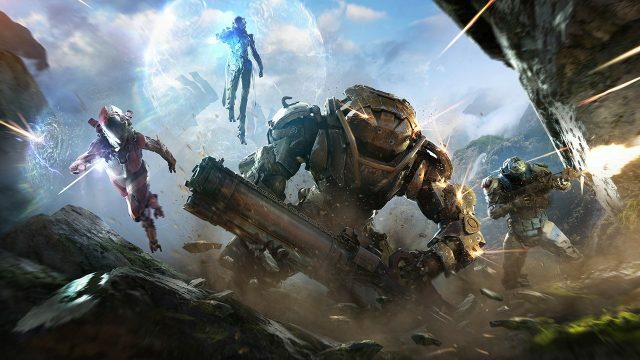 The lore focuses on mythical gods that created a planet but disappear before it was finished, and a mighty power called Anthem. The game features multiplayer hunts, raiding and collecting loot to upgrade your powerful exosuit. Choose from four types that each hold their own uses. The Ranger which brings a balance of skills to the game, an all-rounder that has some speed and firepower. Choose Colossus for a more tank-like build, use your shield to take on an heavy hits. Storm is just like it sounds, an elemental class that is ready to deal damage and support the team. Interceptor features light armor, can pack a mighty punch and counter attacks in the nick of time by dashing away. While a lot of highlights featured by Bioware have been co-op, they have mentioned that you can choose to play with friends or fly solo through the story. Anthem is set to release on February 22nd on Playstation 4, Xbox One and PC. That’s a wrap for the Top RPGs of February. Did I miss your favorite February release? What games are you most looking forward to this year? Please let us know in the comments below. You can also check out the Top RPGs of January 2019. Do February’s games have "more traditional storytelling"? I could be mistaken, but in the sense of the traditional western RPGs where players make choices that impact the story it doesn’t look like any of them qualify. Secret of Empire update is highly anticipated among Lineage 2 Classic players. I guess it gonna hit Skelth in February. I’d just love if Anthem had more RPG elements to it. Long time since any decent sci-fi-themed MMORGP came out, the last I remember is RF online, which is, well, alive in EU, but RF2 isn’t out any time soon.